Prepkitchen Little Italy, is located on the west side of India street in Little Italy. 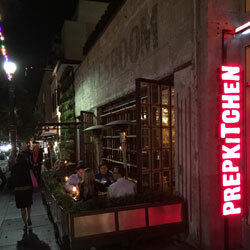 The first thing I noticed as I walked up on a Friday night was the neon red Prepkitchen sign below the open windows above on the second floor. I took a right and headed up the stairs to the loft where I was greeted by an inviting smile. I thought to myself. This is gonna be a good night. 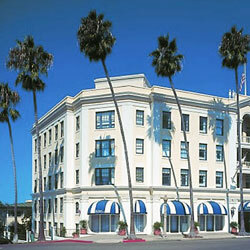 As you walk into the main room you are surrounded by open windows that give you a real fresh air experience. It was a cool night and made it very pleasant. 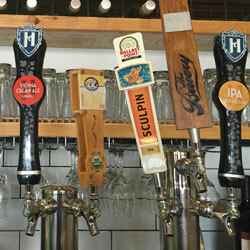 The décor is warm and engaging. Our attentive server offered us up some advice on specialty cocktails and so we decided to partake. I always enjoy an evening in Little Italy and I prepared myself for another epic night in culinary heaven. We started off with a couple of specialty cocktails. 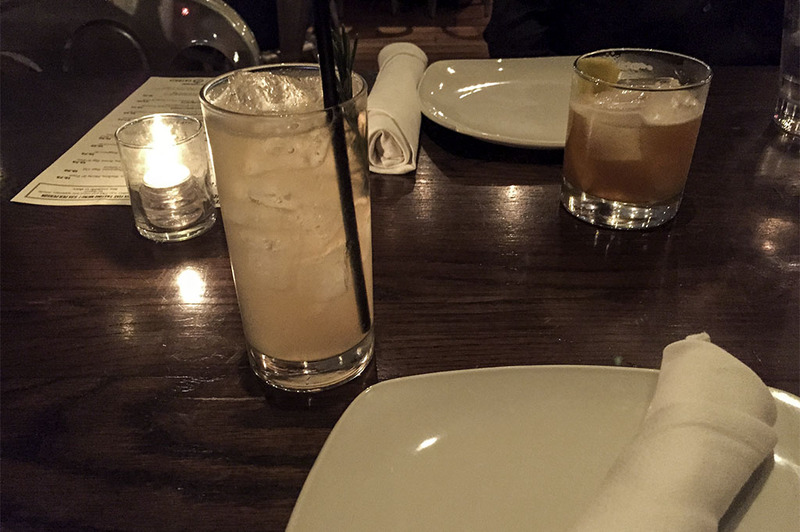 We tried the Evergreen Terrace which is a mix of Genever, Rosemary, Honey, Apple and Lemon. And a Comfort Blanket, mix of Orange Tea Bourbon, Vanilla, Citrus and Bitters. Both were very tasty and was a perfect start to a great night. Thanks for the advice! Next on board, literally was. 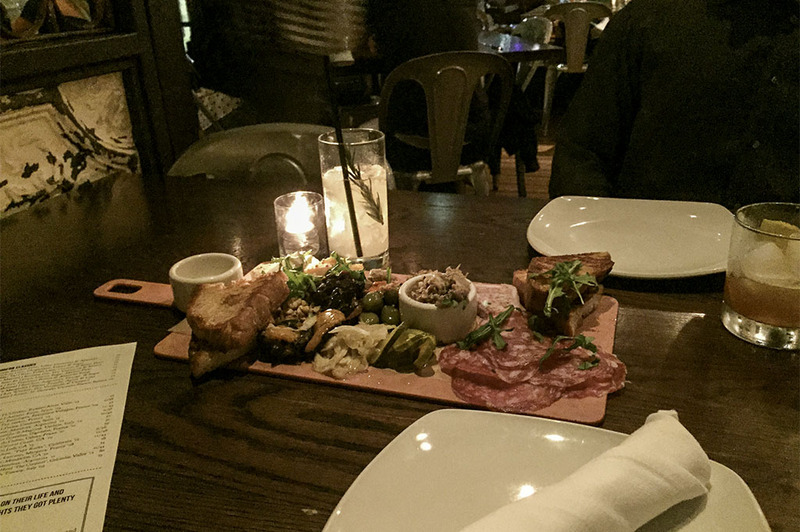 We ordered the Cutting Board which was a beautiful display of meats and Artisian cheeses. 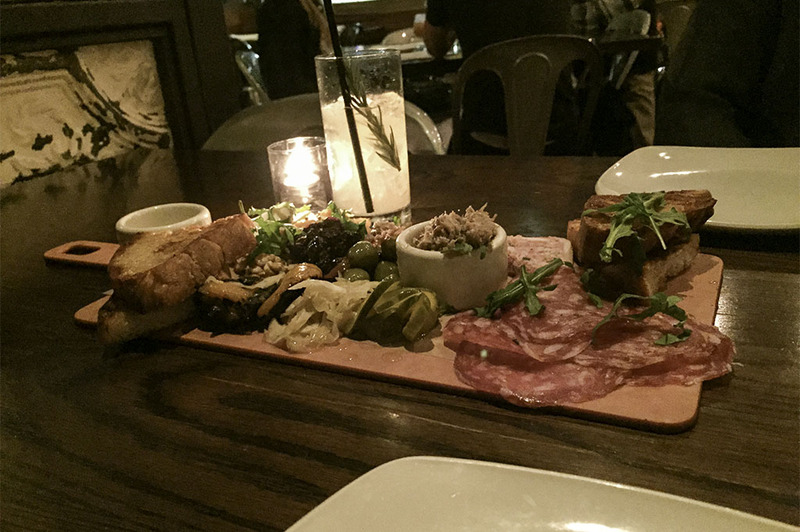 Meats included were, Sopressata, pork rillettes and pâté de champagne, Paired with Garrotxa and Red Dragon cheese. I really enjoyed the spreads which were a nice mix of flavors which included: whole grain mustard, orange mostarda, and spicy salsa delle erbe. And if that wasn’t enough, we also enjoyed pickled fennel, pickled bell pepper, bread and butter pickles, marinated olives, mogave raisins and toasted walnuts. This is a must try, when you visit Prepkitchen. 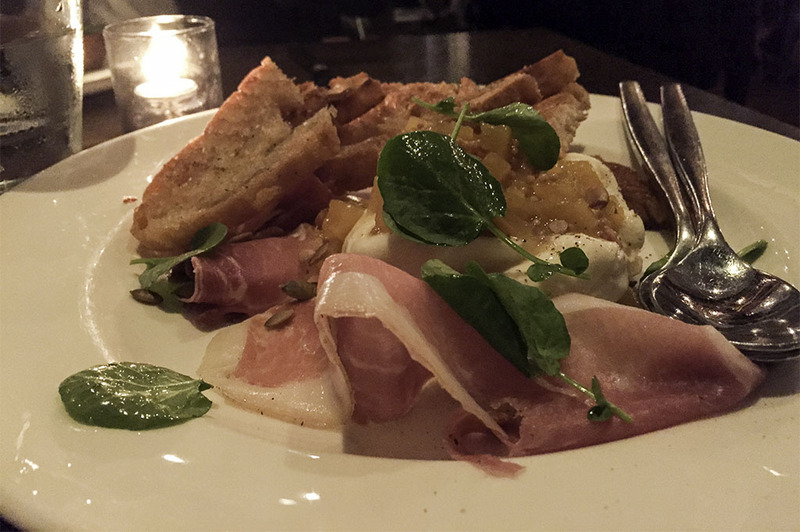 We also tried the Gioia Burrata with Pumpkin Mostarda, Prosciutto, Sage Oil, Pepitas, Watercress & Ciabatta. 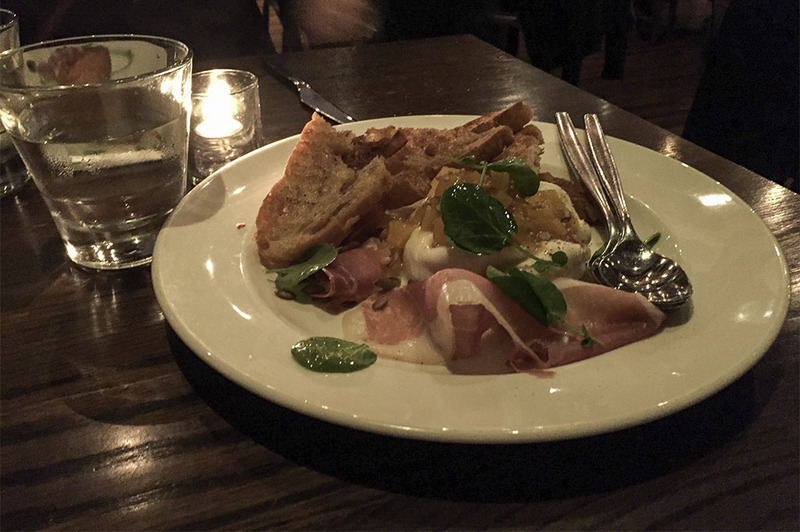 I have to warn you about Gioia Burrata, you might ruin your appetite. I couldn’t stop enjoying it. every time I took another bite, it was the last one. Ha! We ordered a glass of wine and our entrees arrived. 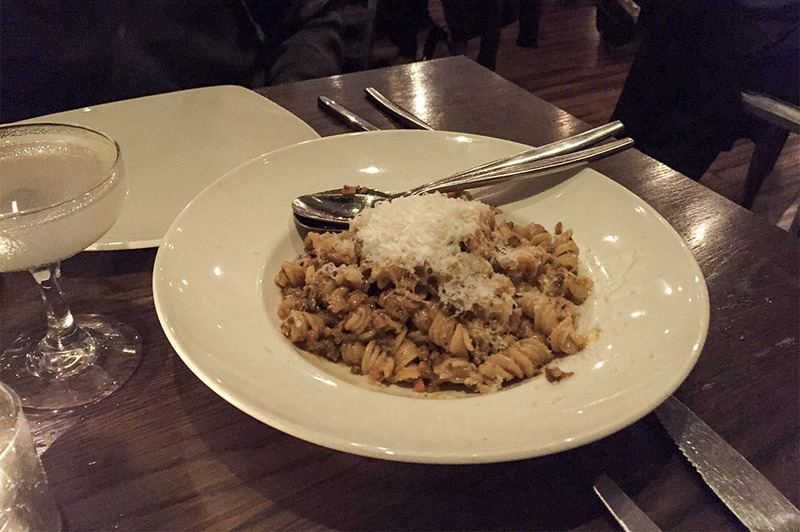 We tried the Fusilli Bolognese and the Slow Roasted Porchetta. 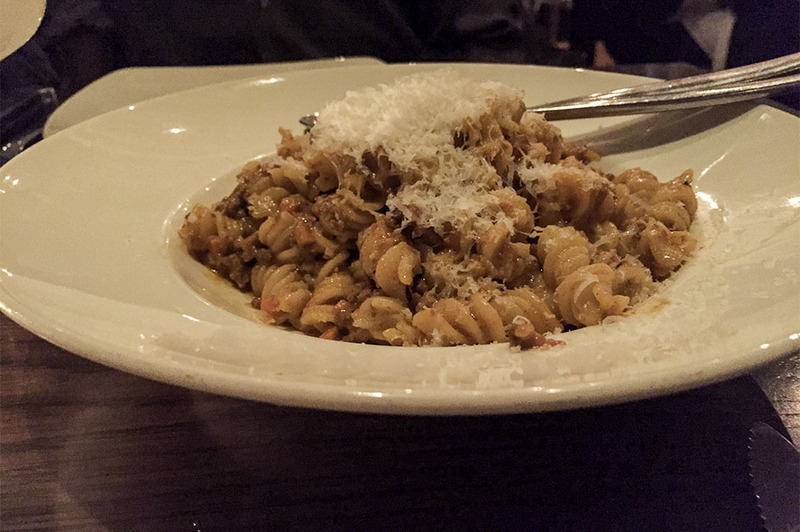 The Fusilli Bolognese is made with Beef, Pork, Tomato, Rosemary & Parmigiano-Reggiano, the Parmigiano-Reggiano was unbelievably sharp with savory flavor that matched the meat just perfectly. What a dish! 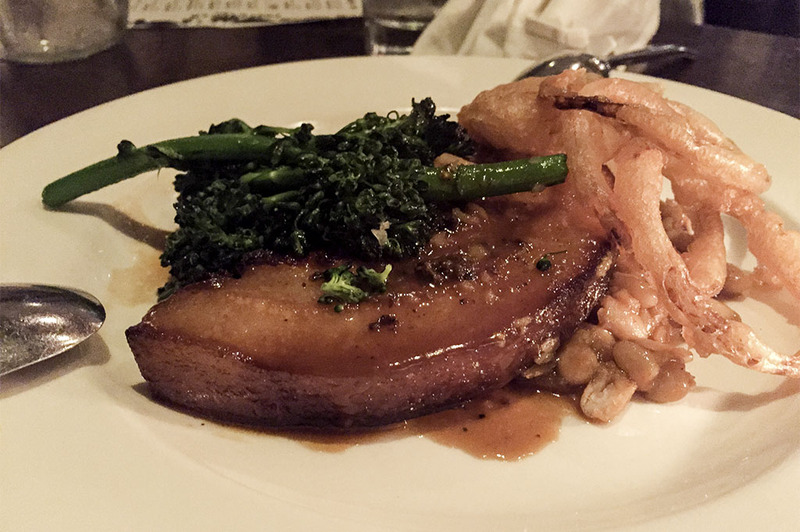 The Slow Roasted Porchetta is a pork belly and a pork loin butterflied, rolled together and seasoned. 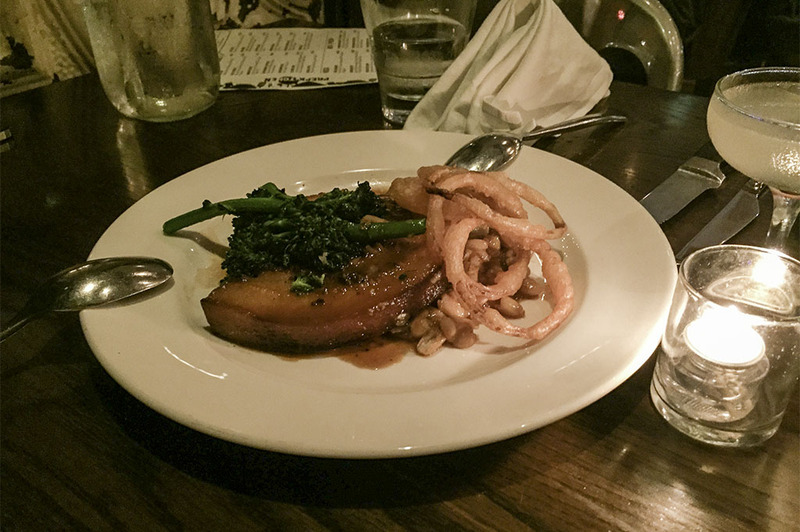 It sat on top of Shelling Beans, Broccolini, Onion Rings & Pork Jus. The succulent pork was especially rich and flavorful. 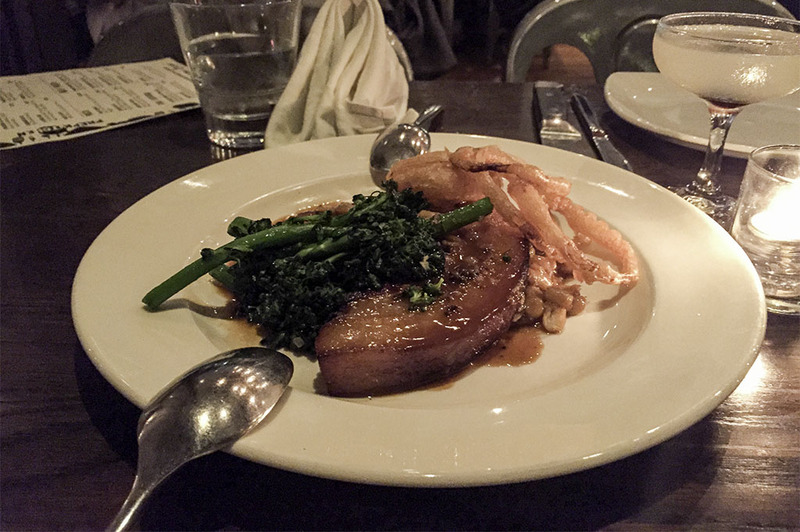 If you enjoy pork belly you will love the Slow Roasted Porchetta at Prepkitchen. As we waited for dessert we ordered a Corpse Reviver. If you haven’t ever heard of a Corpse Reviver it is a historic cocktail dated back to the 1800’s. 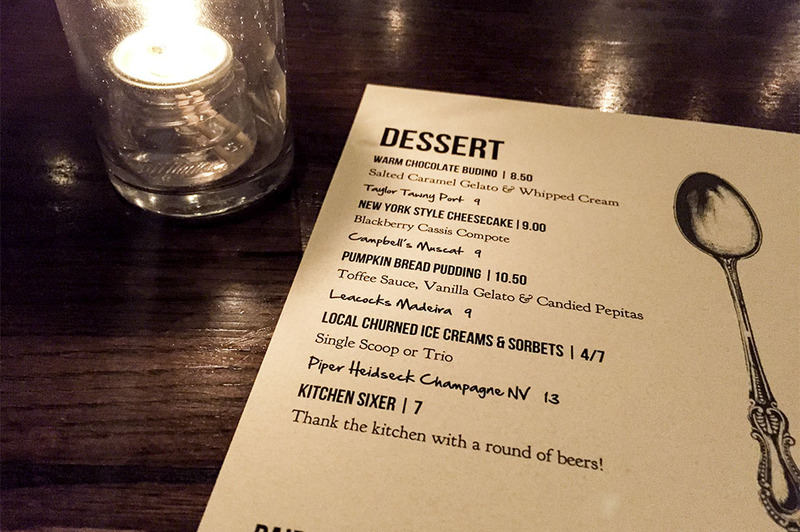 Our server let us know it was an Ernest Hemmingway favorite. A Corpse Reviver is a mix of Gin, Lillet, Cointreau and Absinthe. 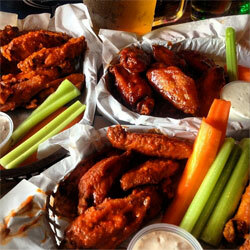 It really hit the spot and took the experience to another level. 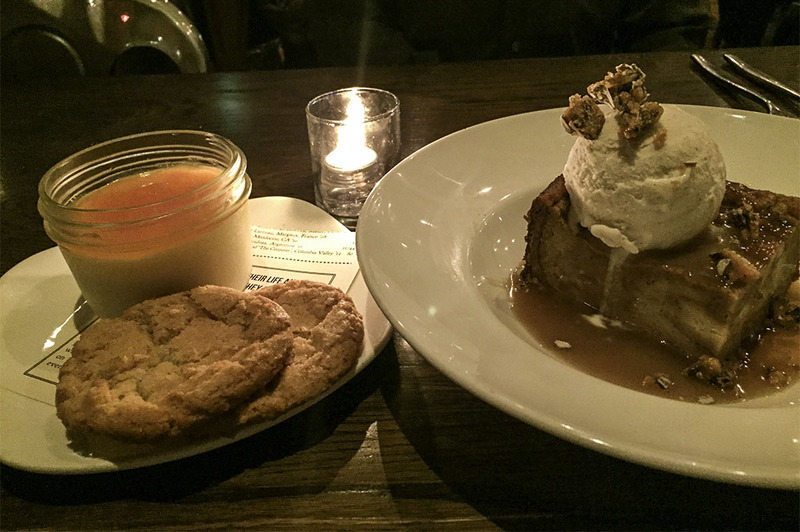 I didn’t really have any room for dessert, but then again, has that ever stopped me before? 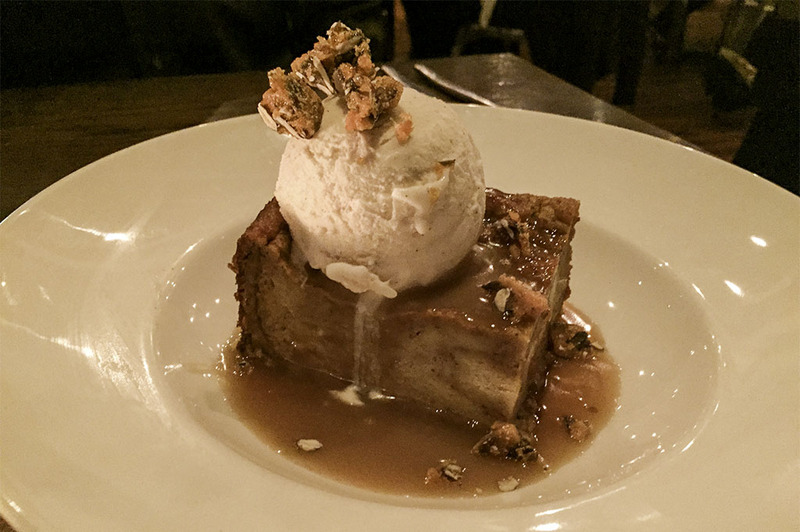 We ordered the Pumpkin Bread Pudding which was served with Toffee Sauce, Vanilla Gelato & Candied Pepitas. 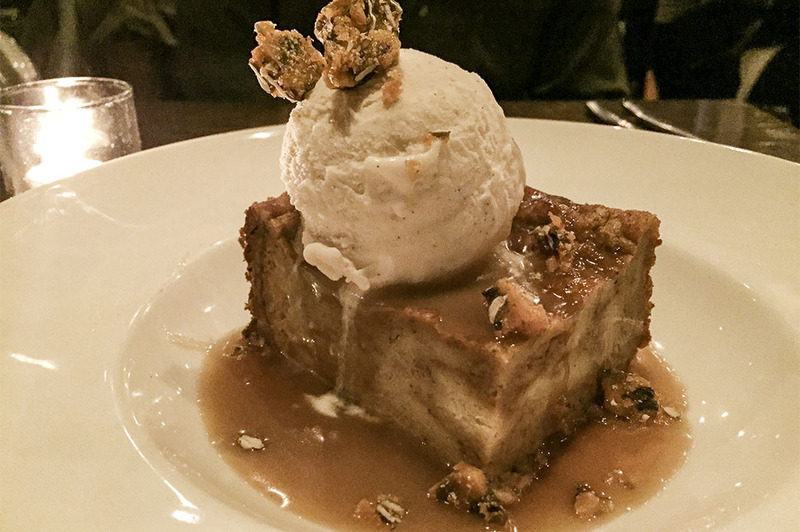 The toffee sauce & candied pepitas really made this dessert something special. I went from no room for dessert, to no room in the cab, but it was well worth it.